i'm glad to continue working on my collection. 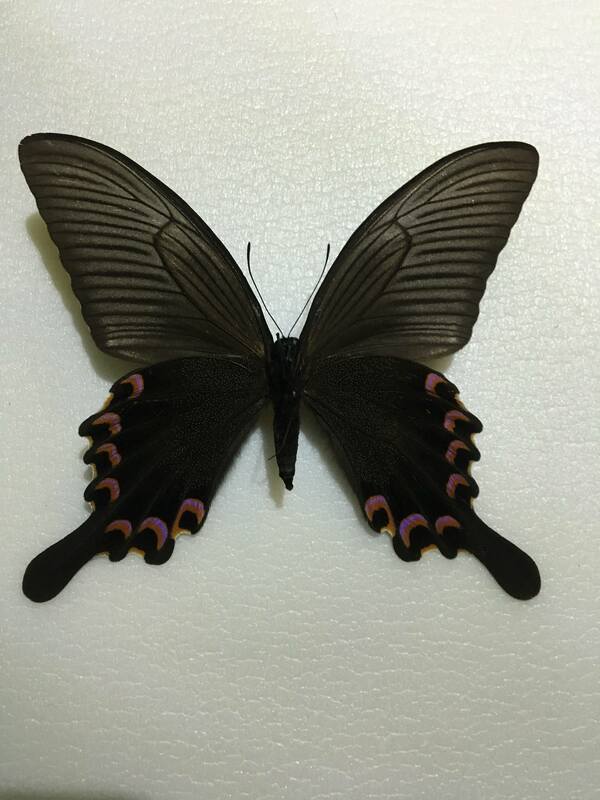 and i kindly ask if anyone could help me identifying this papilio. i have some doubts if it can be p.dehaani? 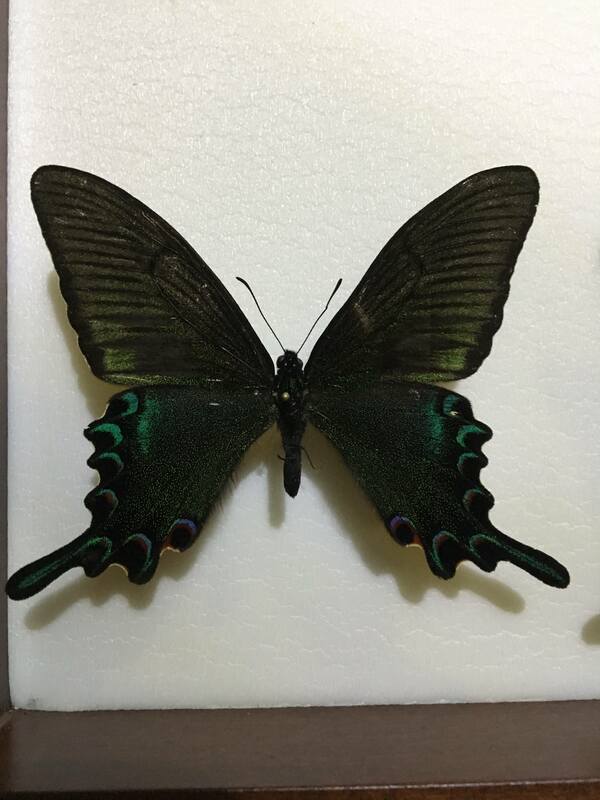 or it is a p.bianor spring form? I disagree, this is P. dehaanii as Boris suspects. 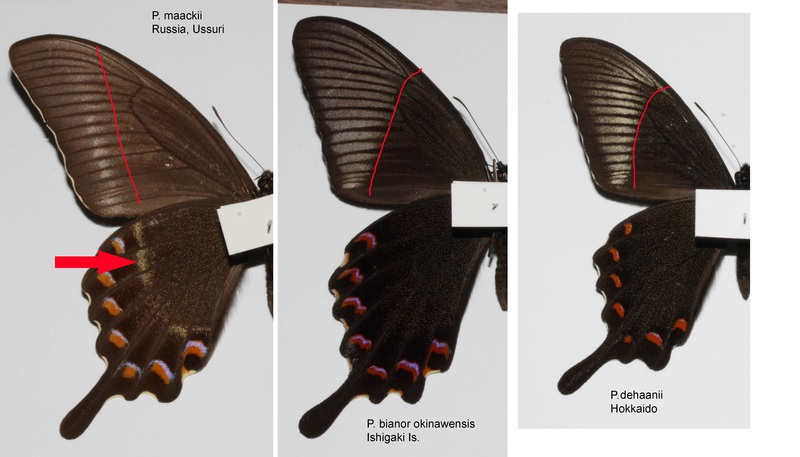 Note how the pale forewing postdiscal area reaches across the wing to the costa above the cell. 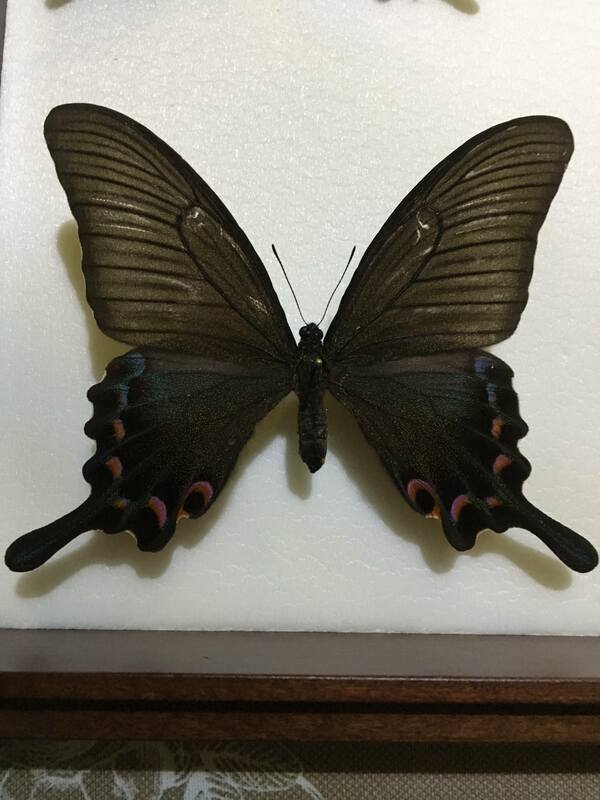 In P. maackii it follows the margin to the apex. 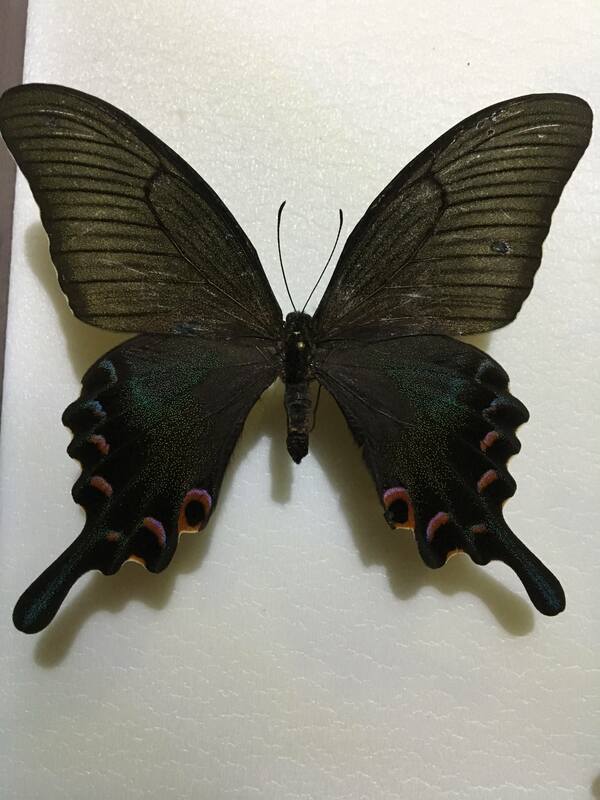 P. dehaanii occurs in northeastern China and gets as far south as Shandong where it meets the northernmost populations of P. bianor. They can produce hybrids in captivity, but those are infertile. Sorry ! 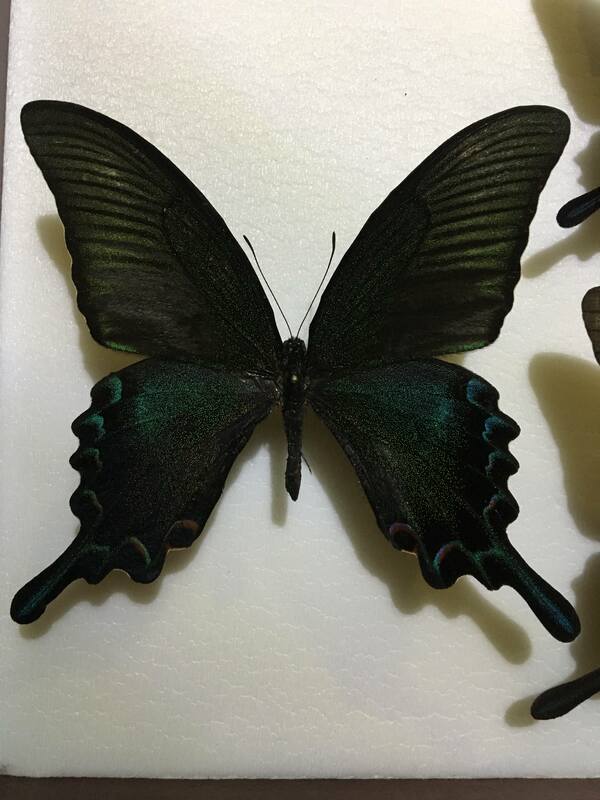 P. dehaanii is not quoted in my book Achillides Butterflies by Yukio Shimogori, 1997. Thanks to Maksim for posting these photos of undersides. 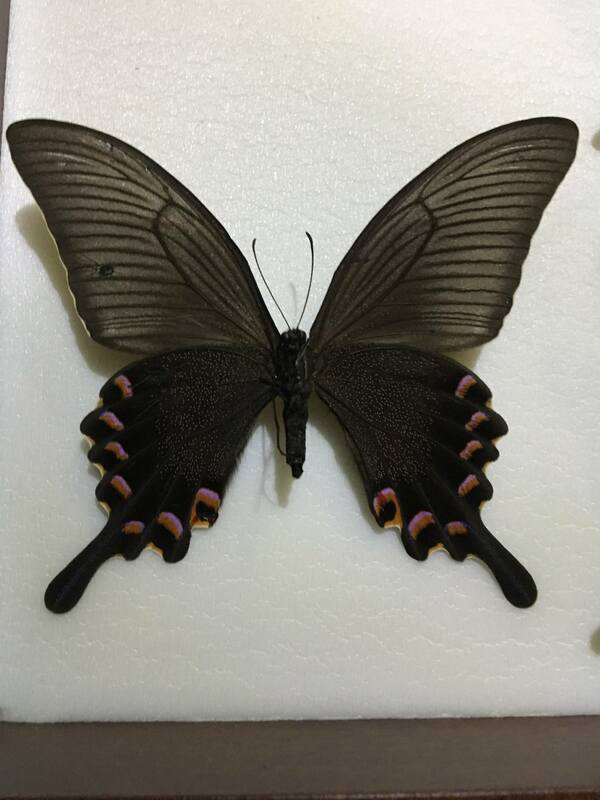 Note that not all subspecies of P. maackii have the marked postdiscal hindwing band, ssp han from China normally lacks this band. 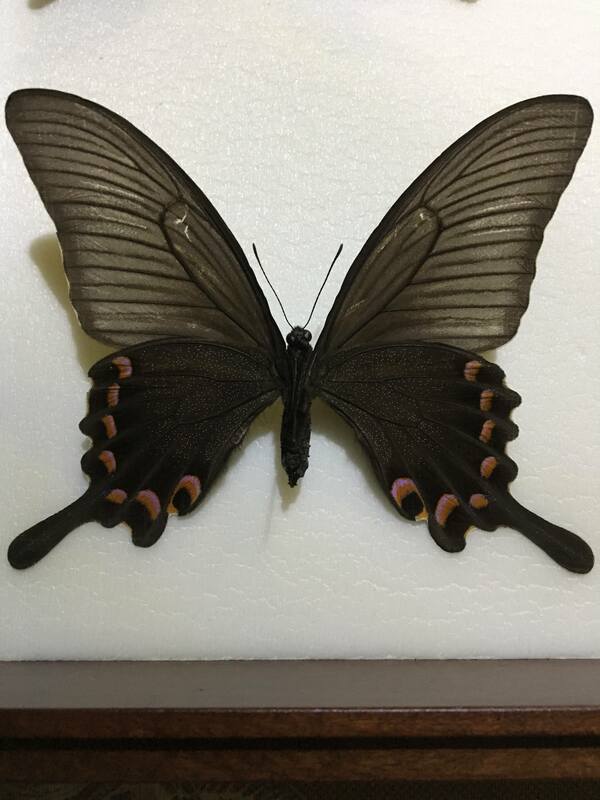 Shimogori (1997) treated it as a subspecies of bianor, which was first split into 2 species by Yoshimoto (1998 - Butterflies, 20: 45-49). Hello dear Adam! Yes, you're absolutely right! Here's another photo. Maybe on my photo there is an error in the title of room 5. 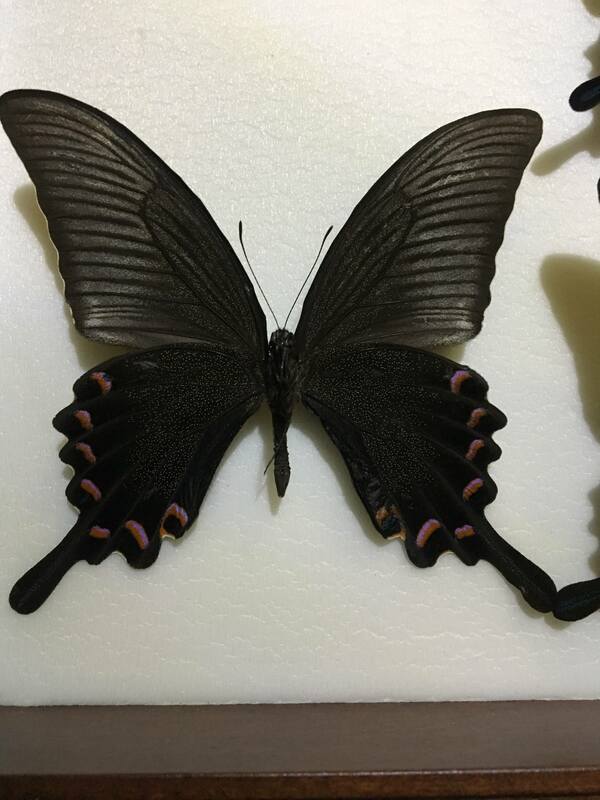 The specimen in number 5 seems to be maackii judging by the postdiscal band on the forewing underside. 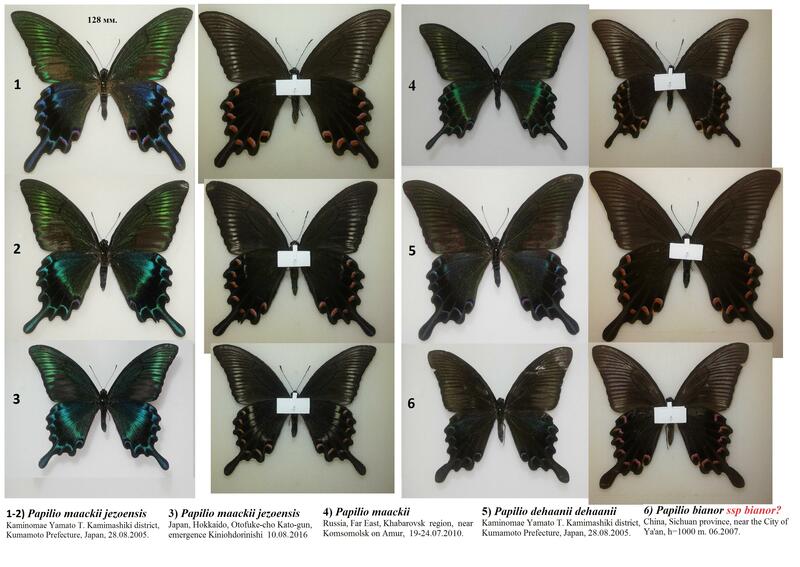 Note also that the hindwing of maackii tends to be slightly more angular than dehaanii and bianor. The Sichuan bianor is indeed ssp. bianor. huuge thanks to all for reply. may i continue? 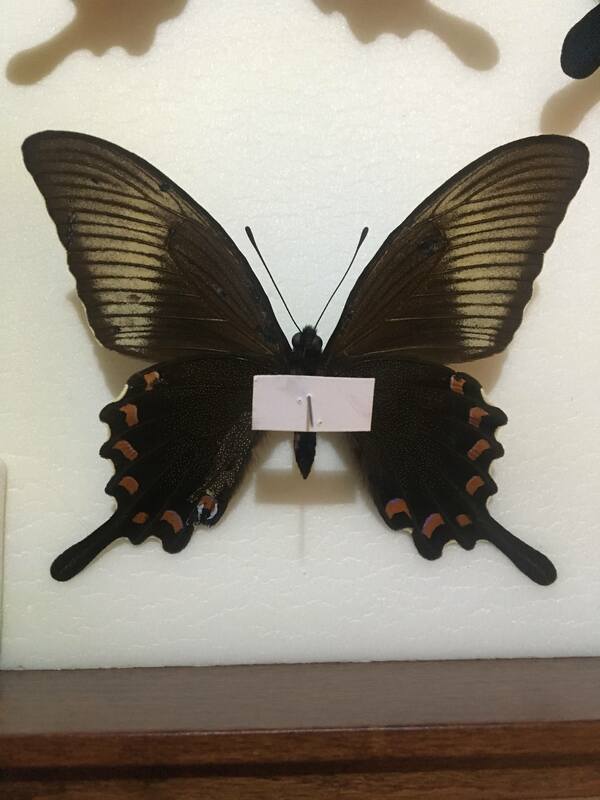 this mackii/bianor from China complex seems very hard to identificate for me. i will be very gratefull for help. 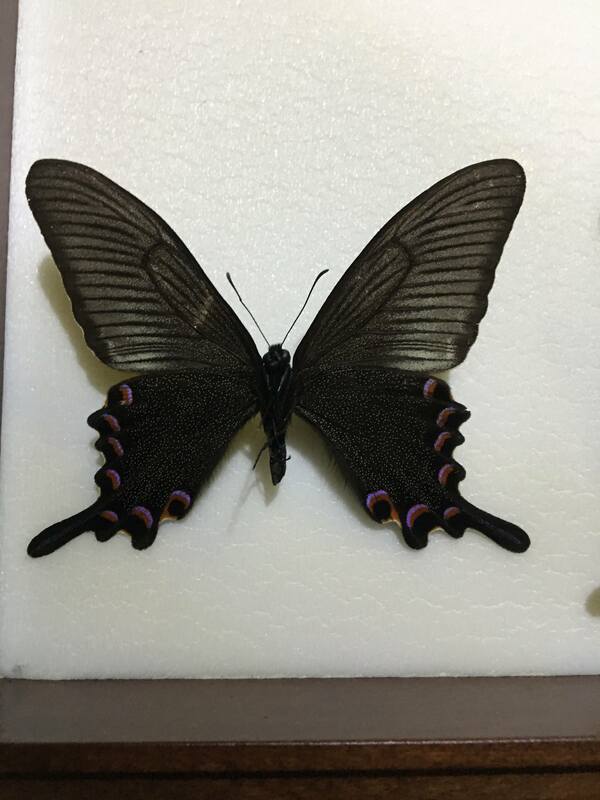 i will mark each 2 photos of the specimen . 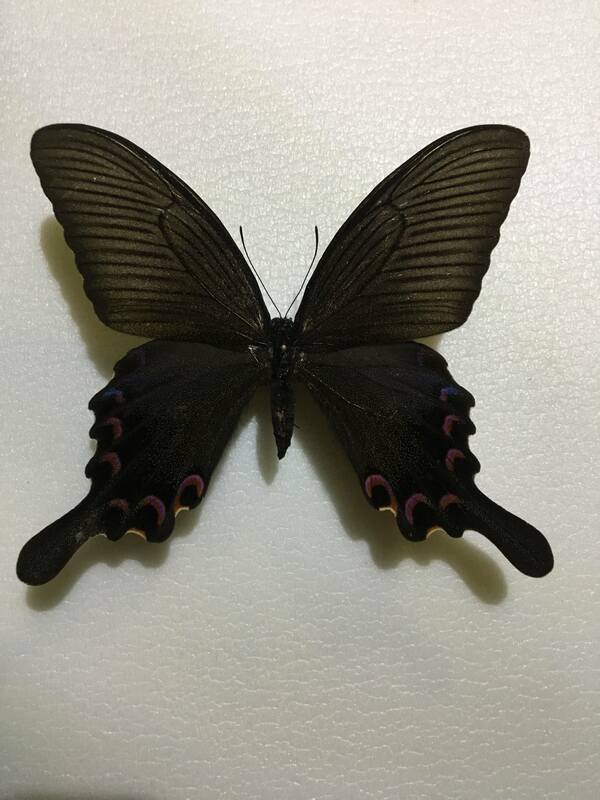 papilio bianor bianor or gladiator female? 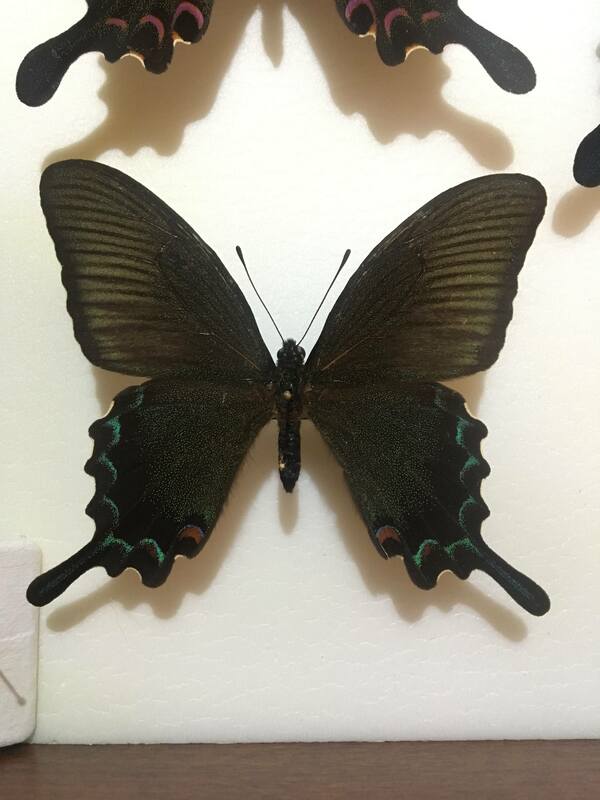 papilio maackii ? what ssp? or p.bianor? Butterflies number 4 and 5.